I try to get at them. I don't let up on anybody. 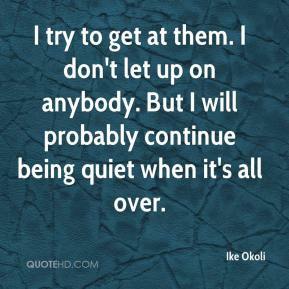 But I will probably continue being quiet when it's all over.